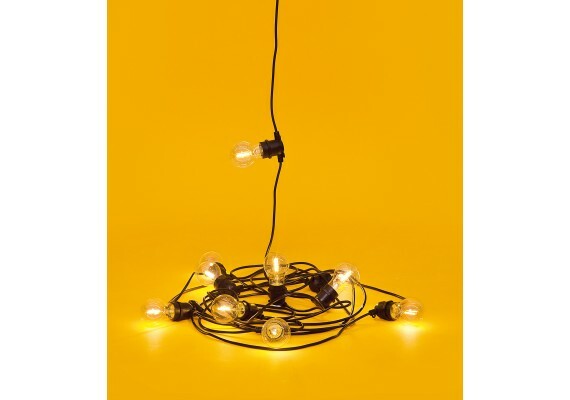 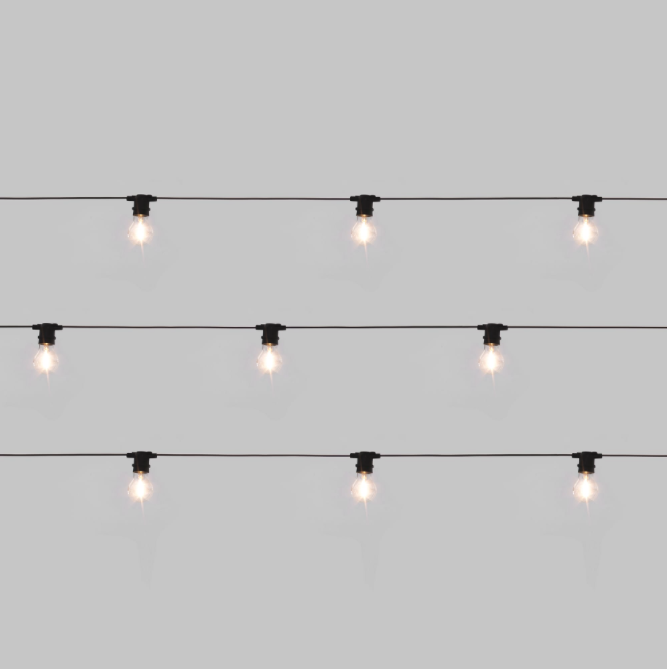 A modern light garland with 10 LED lamps. 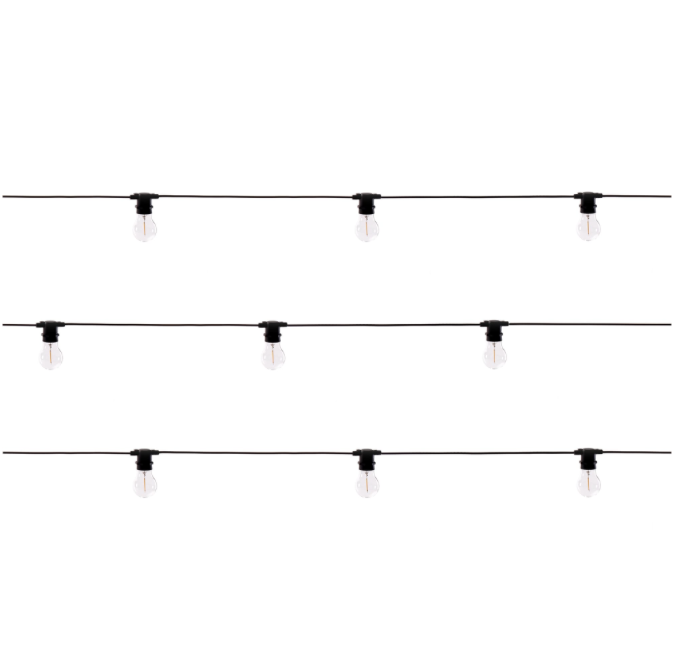 Perfect to hang in a tree or around the Toon table clamp. 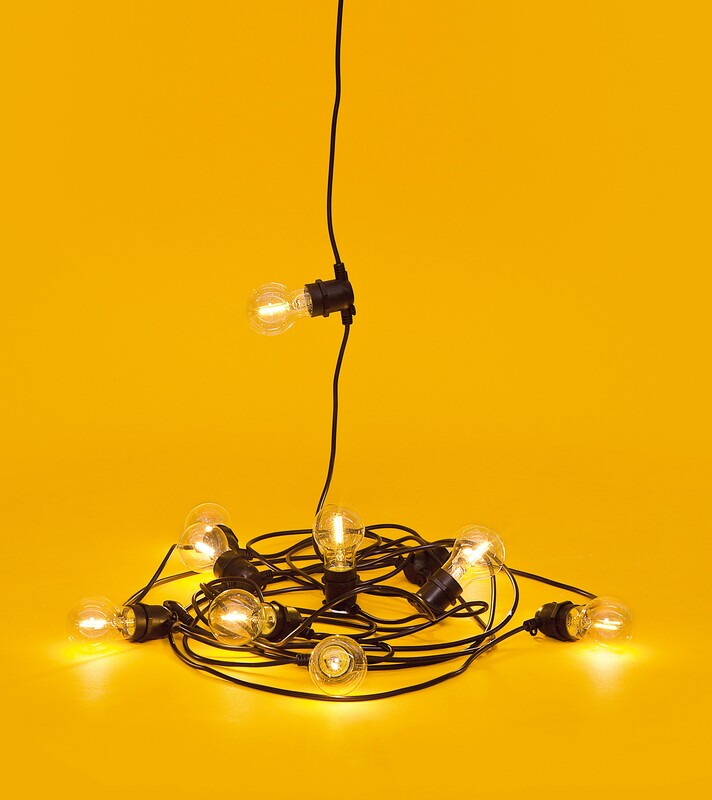 The Bella Vista by Seletti has a total length of 14.2 meters.